Lok Sabha Election Phase 2 voting is on April 18. Result will be declared on May 23. Voting for Phase 2 Lok Sabha Election is taking place on April 18, Thursday. 11 states and 1 union territory are voting to elect representatives on 95 seats. States which are voting for Phase 2 Lok Sabha Election are Assam, Bihar, Jammu and Kashmir, Karnataka, Maharashtra, Manipur, Odisha, Tamil Nadu, Uttar Pradesh, Bengal, Chhattisgarh and Union Territory Puducherry. The voting time for Phase 2 elections is from 7 am to 6 pm. Around 1,600 candidates are contesting on 95 seats for the second phase of Lok Sabha election 2019. Former Prime Minister HD Deve Gowda, BJP lawmaker Hema Malini, Senior Congress leader Veerappa Moily, Rajya Sabha lawmaker Kanimozhi, Uttar Pradesh Congress chief Raj Babbar and National Conference President Farooq Abdullah are among the prominent candidates for Phase 2 Lok Sabha election 2019. The general election is taking place in seven phases. The polling dates for national election 2019 are: April 11, April 18, April 23, April 29, May 6, May 12 and May 19. This election will choose the 17th Lok Sabha. Elections 2019 result will be announced on May 23. To know general election schedule, click here. To know how to find your name in voter list, click here. Earlier phase 2 polling was to take place on 97 seats, but was reduced to 95 as polling in Tamil Nadu's Vellore Lok Sabha constituency was cancelled by the Election Commission due to cash seizure. Polling in East Tripura seat was postponed from April 18 to April 23 after the poll body found that law and order situation there was not conducive for holding free and fair polls. The first phase of Lok Sabha elections, that took place on April 11, saw a voter turnout of 69.43 per cent. 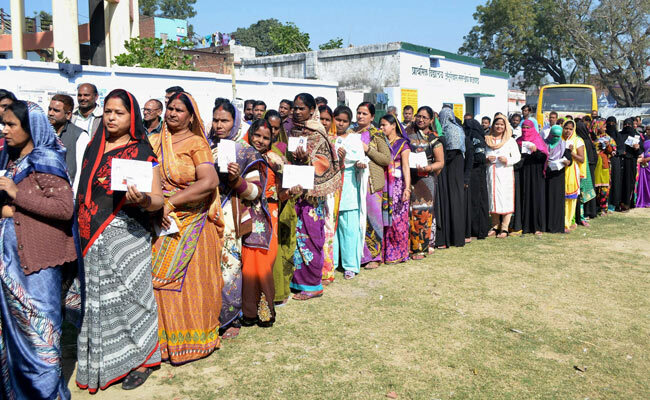 A total of 91 Lok Sabha constituencies spread across 18 states and two Union Territories had gone for polls in Phase 1.